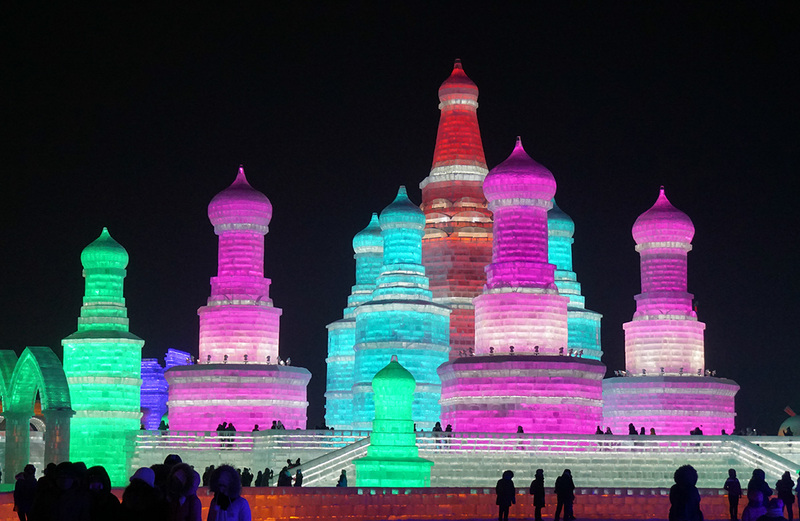 I’m in Harbin, China, for the annual Ice Festival. This includes various fine ice sculptures, etc. 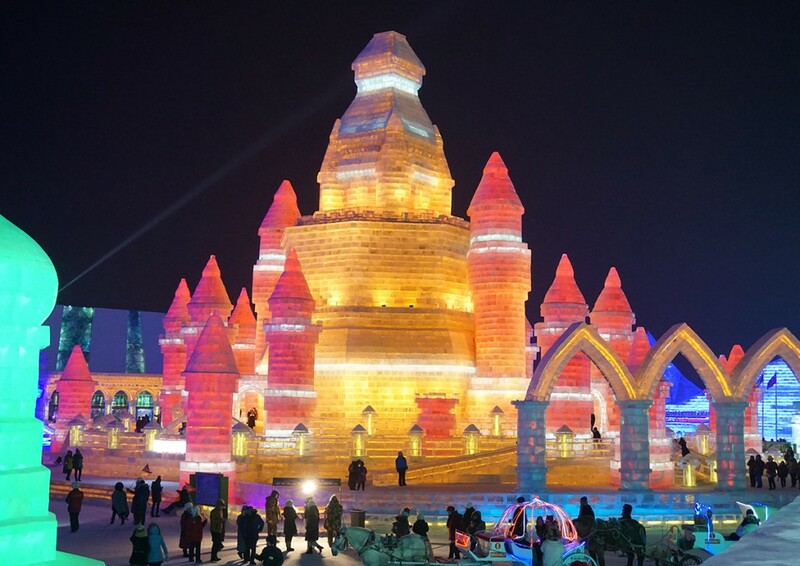 But the highlight is the gloriously insane collection of giant ice buildings at the Ice and Snow World. After dark they are lit from within, to stellar effect. 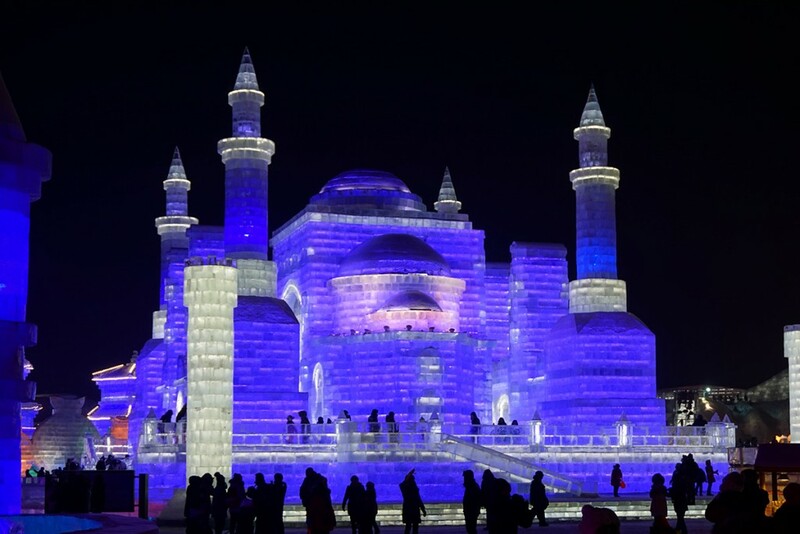 This year the collection included buildings loosely modeled on St Basil’s, the Blue Mosque, the Brandenburg Gate, and many others. It’s hard to capture in photographs, but the reality is wonderful over-the-top genuine top-of-the-line insanity. It’s complete madness! It’s really great!! 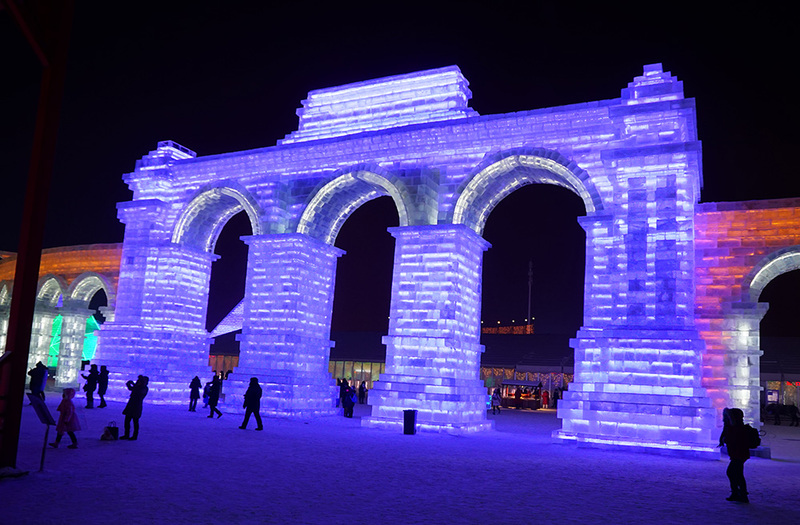 Despite rumors of Arctic weather, the early evening was a balmy Zero Fahrenheit (-18° C). So distinctly cold, but quite tolerable in my North Face down jacket!